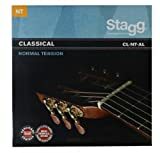 The Stagg CL-NT-AL Normal Tension Classical Guitar Strings are a popular set of classical guitar strings. They are precision wound with nickelplated steel onto a carefully drawn, hexagonally shaped, high carbon steel core. 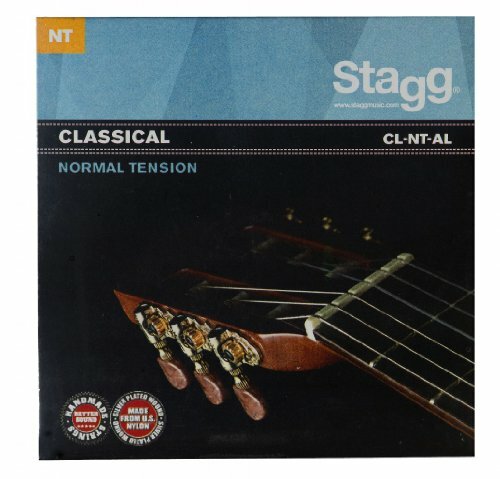 The result, strings with long lasting, distinctive bright tone and excellent intonation. Ideal for the widest variety of guitars and musical styles.Features:Round wound with nickelplated steel for distinctive bright tone. Environmentally friendly Corrosion resistant packaging for strings that are always fresh.